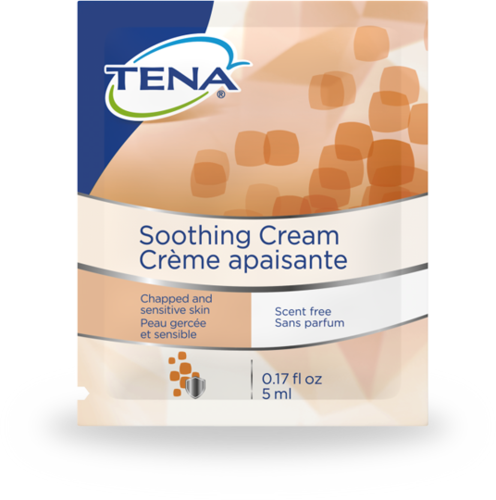 TENA® Soothing Cream contains moisturizing oils and vitamin E to help maintain skin health. It helps to keep potential irritatants away from the skin by creating a moisture repellant barrier layer. It offers smooth application. 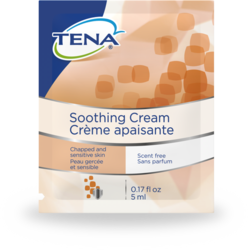 Plus, TENA® Soothing Cream is scent free, making it the smart choice for extra sensitive skin. Soothes chafed or chapped skin. Allows for visualization after application in order to check skin condition. Unscented for use on extra sensitive skin. Perfect for facilities calling for scent free formulations.